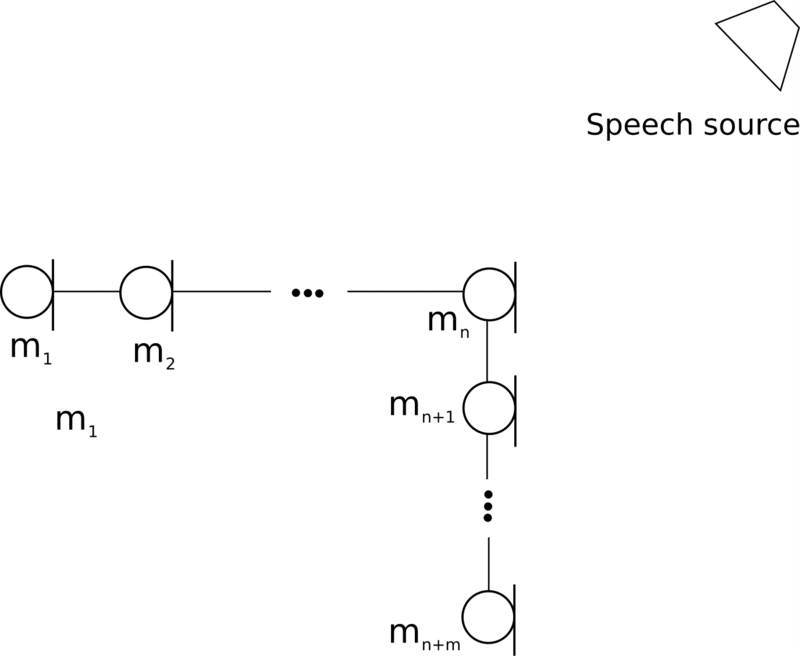 Speech processing on real time operating systems (RTOS) more often than not require estimates of the direction of arrival (DOA). Due the the time and computation constraints on RTOS platforms, most sophisticated algorithms are impractical. Thus, instead of MUSIC like algorithms for estimating the DOAs, time difference of arrival algorithms are leveraged to give reasonable estimates for most applications. The topology of the microphone array has to also be taken into consideration. A linear array is unable to distinguish signals from the front or the back due to spatial ambiguity. Thus a minimum of three non co-linear microphones are required to have a full view in two dimensions. In a three dimensional plane, a minimum of four non co-planar microphones will be required. In most applications a two dimensional resolution of the DOA suffices. It should be noted that can be computed once and then only additions and multiplications are required to estimated and respectively. The choice of sampling Frequency and/or , together with the number of microphones can be used to determine the resolution of the returned DOA. It should be noted that we could use a square topology but that will not provide extra information but only reinforce the given estimates by removing noise from the estimates. In the noise free case, the extra half topology from the square configuration provides no extra information for estimation.